Few days before Google announced the Google + application going to shut down on 2018 August. Due to some vulnerable exposed the personal data of up to 500,000 users between 2015 and March 2018. And also the use Google + reduced day by day. 90% of people not used Google + more than 5 seconds. Due to low usage and user data protection, Google comes to conclude to stop the service on the next year 2019 August. Before that, you want to take the backup of your information and data what your share and posted in the Google + account. 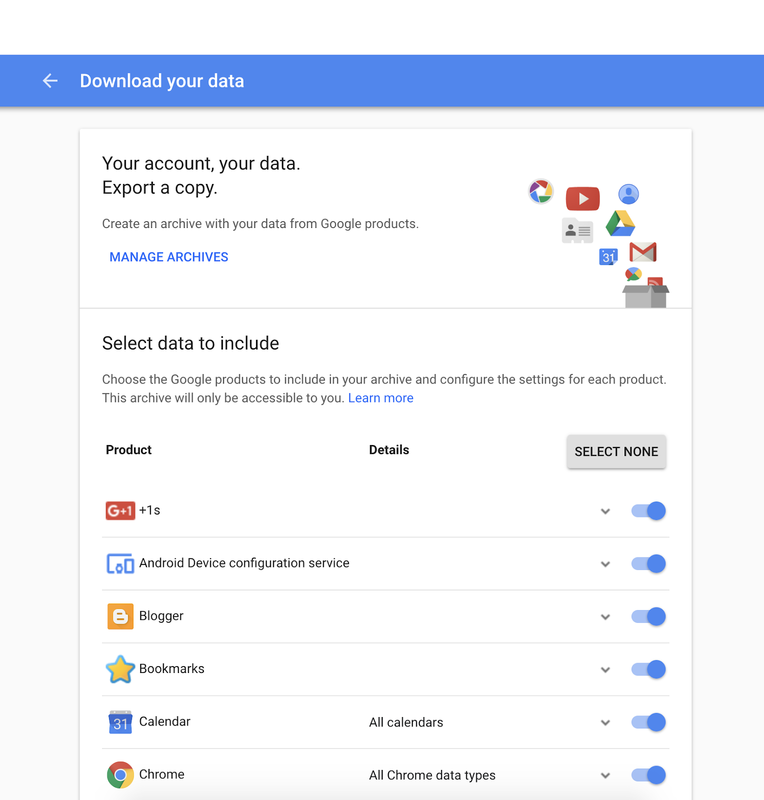 Click the link https://takeout.google.com/settings/takeout go to the Data Backup page and select which Google Product data you want to take backup. Select Google + and click the next button and it will take to Download section select what type of format you want to download it will offer two type .zip and .tgz and also you can select the Archive size to download. And the last select the create archive button. How to delete the Google + Account. Follow this link http://plus.google.com/downgrade you can go to the Google + Deletion page. 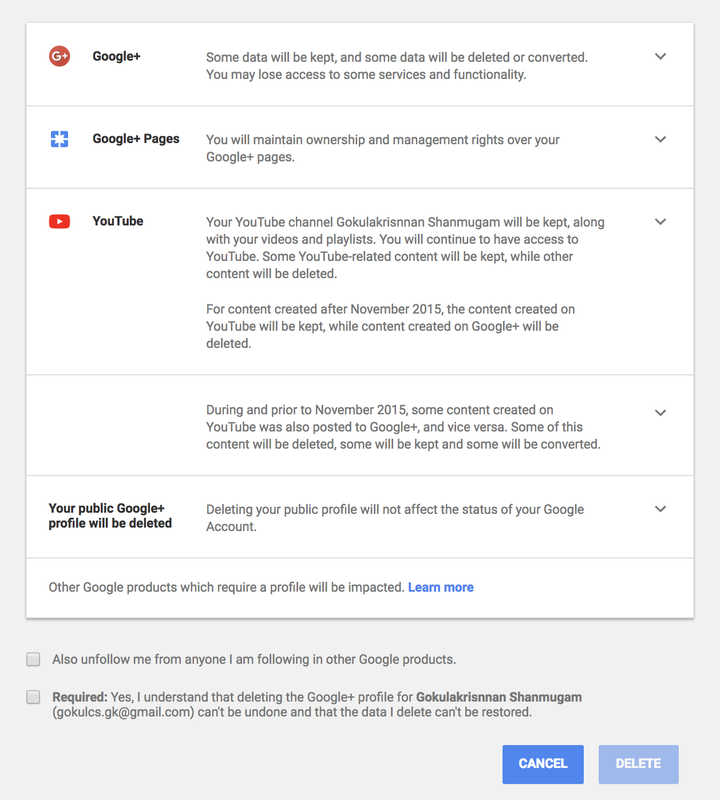 Follow the instruction given in the Deletion page to Delete your Google Plus page safely. Delete your Google + app in the iOS and Android phones.